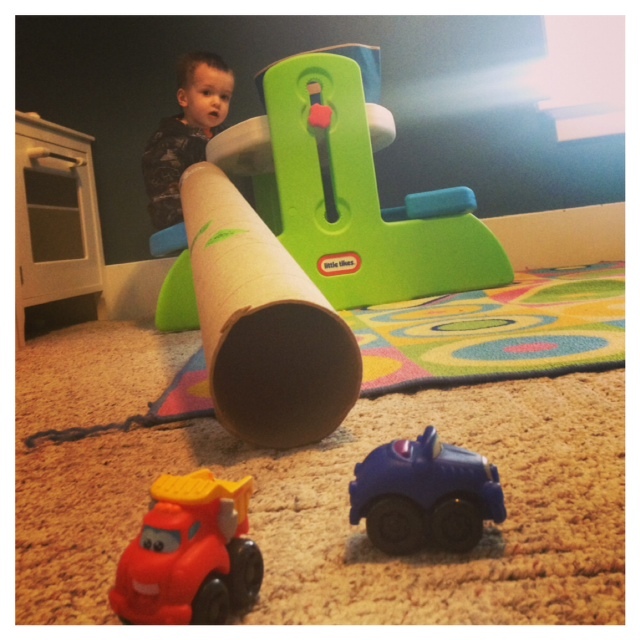 One long tube and a handful of cars made this little boy stay occupied for a long time. There were lots of giggles, car races, and chasing the cars during this play. It excites me when I can take something I was going to throw away and create a new way to play with it. I mean what 2 year old would not want to have a huge tunnel for their cars? One way to change it up and create some education for this activity is to put the tunnel at different heights to see the different speeds the cars will travel. 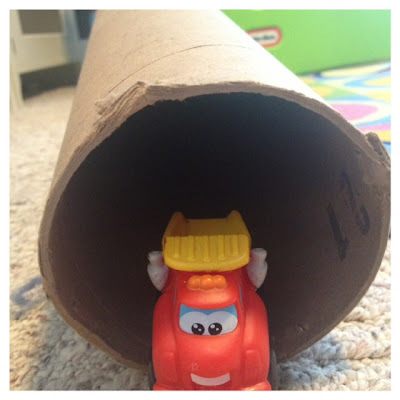 My son also tried to put cars on top of the tunnel rather then in the tunnel to watch them crash and fall. Since this we have colored all over the tube and now it is one colorful bridge!